For those who have seen my previous post about Scrub Love then you'll know I am completely in love with their products, they aren't just your typical 'smell nice, feel good' products, they have many properties that actually help towards making your skin better and healthier. 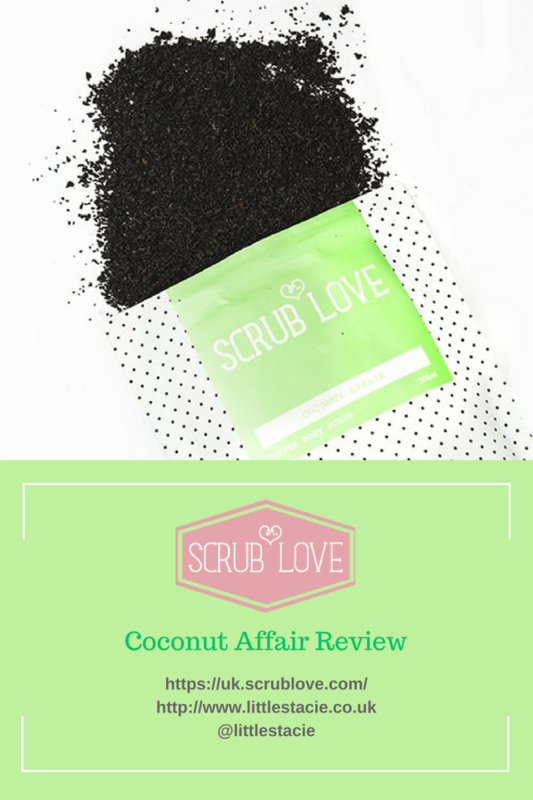 This is my full breakdown of the 'Coconut Affair' scrub, it will honestly be your best friend through the summer months and beyond! Not only is coffee a natural exfoliator, but it will buff away all the dead skin cells without damaging the new delicate skin cells underneath. The coffee will help to stimulate the skin and reduce problem areas that you are trying to tackle. You couldn't get something more hydrating for your skin, however it comes with so many other bonus properties such as; Anti-Fungal, Anti-Bacterial and Anti-Inflammatory. Any problem area's will have to prepare for battle against this ingredient because they're going down! This ingredient is 5* Not only does it follow the footsteps of the coconut oil in being Anti-Inflammatory, it's a Rejuvenator; Promotes rejuvenation of skin cells, Insulator; Protects the skin from excessive high and low temperatures, Cicatrizant; Promotes the healing of wounds and Antioxidant; Prevents the skin from radical damage such as; Pollution, Smoke or Radiation. It's one of my top favourite ingredients and has helped my skin so much! When the Coconut Milk Powder mixes with water, it makes the Coconut Milk, this lovely ingredient is rich in Copper and Vitamin C helping your skin to keep nourished as well as maintaining elasticity. This is my number 1 product lately as its the key to silky smooth skin, if you regularly fake tan this is a fantastic product to exfoliate with before hand, and I recommend it to anyone with sensitive skin or those suffering with problem area's, be consistent in using it and you will see fantastic results!